After an absence of 4 years, Neneh Cherry made a phenomenal comeback by with the single 'Kong' earlier this year. Following up with two more breathing tracks, she now releases her fifth solo album 'Broken Politics'. 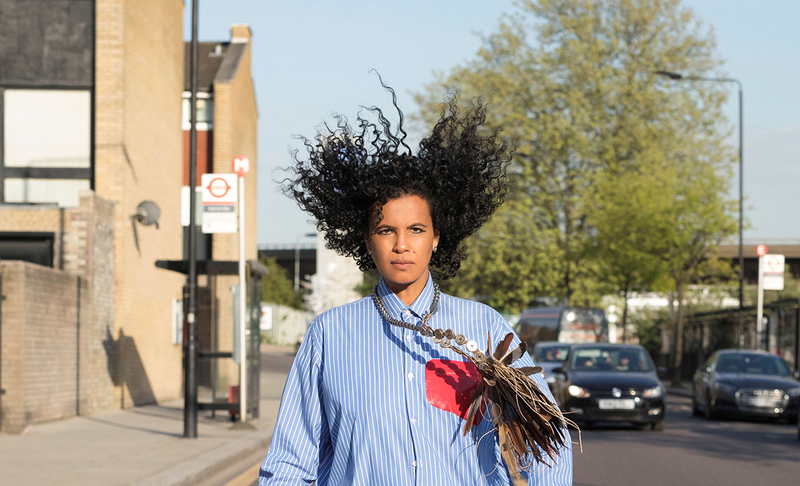 Produced by Four Tet, Neneh Cherry expands her ever-widening sonic palette on a political-charged record that is as forward-thinking as it is thoughtful and emboldening. Stream the album in full below. Several in-depth articles and interviews with Neneh Cherry have appeared lately; in a conversation with Pitchfork, she discusses the songs, albums, and artists that have meant the most to her throughout her life. New York Times profile the musician with a piece entitled "Neneh Cherry Never Stopped Taking Risks. Now She’s Making Politics Personal." Neneh Cherry will perform at Le Guess Who? 2018 together with a.o. Swamp Dogg, Anoushka Shankar, Devendra Banhart, Beverly Glenn-Copeland, Kelsey Lu, Emel Mathlouthi, Tirzah, Midori Takada, Serpentwithfeet, and many more.